What is a Farm to School taste test? A Farm to School taste test is an event that offers students small samples of local foods during school lunch hours in the cafeteria. 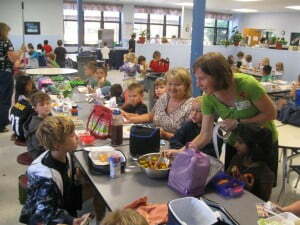 Anyone can organize a Farm to School taste test: a chef, a parent, the cafeteria staff, a school nurse, students, etc. Samples of local foods are offered to students separately from the school lunch at a designated table in the cafeteria or by passing samples out to each lunch table. Why a Farm to School taste test? Provides students the opportunity to try a variety of foods, introducing them to foods that are locally grown and in season. Facilitates a change in food choices, thus allowing new and local foods that are accepted by students to be integrated into school meals. Involves students and staff in changing school food. Is a fun and memorable experience. How do you conduct a Farm to School taste test in the cafeteria? First, involve the cafeteria staff. As the implementers of the Child Nutrition Programs at your school, they are a critical component to any Farm to School program and their support is necessary in order to host a taste test in the cafeteria. It is their workspace after all! Most importantly, get to know them – stop by to say hello and introduce yourself. Talk to the kitchen manager and/or Child Nutrition Director about holding a taste test in the cafeteria during lunch hours. You are seeking their permission, input, and guidance, particularly for how to hold a test without disrupting their work or the lunch lines. 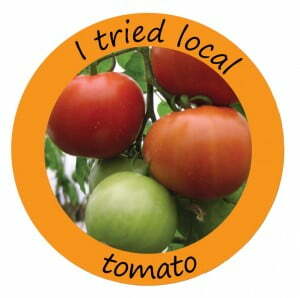 Note: A Farm to School taste test is not about bad-mouthing school food or putting down their program. It is about introducing students to new and local foods. Offer to share the products of your activity with them (i.e. all those good foods you prepare for the taste test). Ask if they want to or would be willing to be involved in any aspect of the taste test. The cafeteria staff will more than likely appreciate you reaching out to them and including them in introducing students to new and local foods. Organize volunteers to help prepare the taste test samples, hand out the taste test samples, and clean up the kitchen. For 500 students with staggered lunch periods, 2-3 people to prepare the taste test samples, pass out taste test samples, and clean up should be sufficient. Recruit parents, students, teachers, school staff, cafeteria staff, and community members as volunteers. Communicate with the Child Nutrition Director and/or kitchen manager about food safety and where they recommend you prepare the food for the samples. If possible, inquire about preparing the taste test samples in the cafeteria’s kitchen. They have the equipment and space you need right there. If you are able to use the cafeteria’s kitchen, make efforts to not be in their way while they are preparing lunch, and make sure to leave the kitchen cleaner than when you arrived. In order to reach all students (those that bring their lunch and those that buy their lunch), you can either pass out the taste test samples at each student table or set up a separate table in the lunchroom and have students come to you. Ask the Child Nutrition Director or cafeteria manager which they prefer (or if they prefer an alternative option), as what will work best may depend on how the lunch lines are set up and the cafeteria’s flow. For your first taste test, select a food item/recipe that requires little preparation and is easy to hand out. For example, a variety of cherry tomatoes or local apple slices in yogurt. Once you have the simpler taste tests down you can try more involved recipes. Be sure to make the taste test table and taste test samples look appealing. Put a nice cloth down over the table. Serve the samples in small cups. Choose local foods that are colorful. Provide information about the farm or farmer. Purchase the local food item at the farmers market or contact a local farmer directly. You can find farmers in your area by searching ASAP’s Local Food Guide. Provide recipes for students to take home. Make it a regular event! Organize Farm to School taste tests monthly or seasonally to promote foods that are in season and available in your area. Have the farmer who provided the local item come to the taste test and help pass out samples. Ask for the taste test and name of the sample local food item(s) to be mentioned during the school’s the morning announcements. Provide students who tasted the sample with a Growing Minds sticker or a bookmark (particularly for younger grades). Contact us to request items for your taste test. If the school meal programs are using local produce, try to coordinate the taste test to be on the same day or the day before the local food item is featured on the menu. Have the students evaluate the taste test sample by indicating how much they liked it on a survey or poster boards with stickers. What are we missing? As you conduct taste tests, share your tips and stories with us! View our video on conducting Farm to School taste tests.